Google today announced an update to Cloud Source Repositories, its recently relaunched Git-based source code repository, that brings a significantly better search experience to the service. 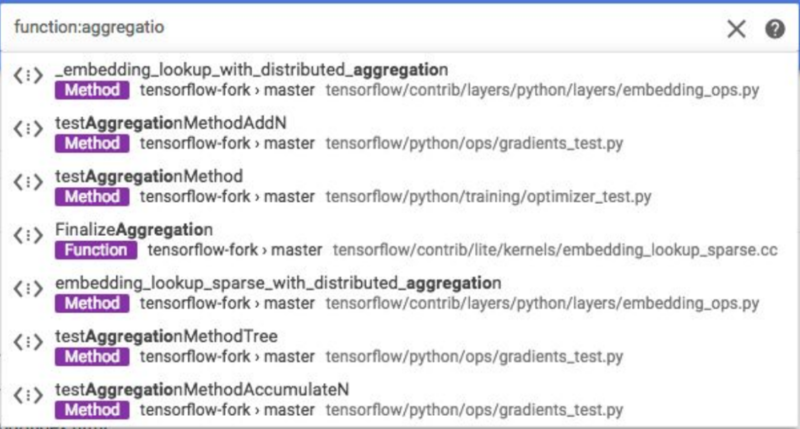 This new search feature is based on the same tool that Google’s own engineers use day in and day out and it’s now available in the beta release of Cloud Source Repositories. If you’ve been on the internet for a while, then you probably remember Google Code Search. Code Search allowed you to search through any open-source code on the internet. Sadly, Google shut this down back in 2012. This new feature isn’t quite the same, though. It only allows you to search your own code — or that from other people in your company. It’s just as fast as Google’s own search, though, and allows you to use regular expressions and other advanced search features. Google argues that searching through code locally is not very efficient and means you are often looking at outdated code. As Google also notes, you can mirror your code from GitHub and Bitbucket with Cloud Source Repositories. I’m not sure a lot of developers will do this only to get the advanced search tools, but it’s definitely a way for Google to get more users onto its platform, which is a bit of an underdog in an ecosystem that’s dominated by the likes of GitHub.